One of the reasons I love my hometown is that it feels so 1960s. Like a happy hippy commune. Nothing is upscale, fancy, or pretentious. Everything has a super “love makes the world go round” “kumbaya” type of vibe. Case in point: Eugene has ‘poetry boxes’ dispersed throughout the town. 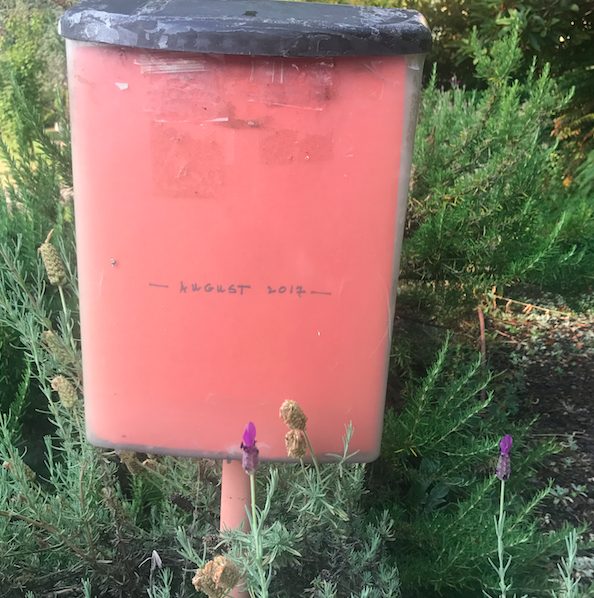 They perfectly describe Eugene — random mailboxes in town with poems to share with the community (what is NOT to love about this). Two blocks from my parents house is this mailbox with poetry. They change it once a month.